#WhiteNights. #BoatTrip. #RiverCruise. #SaintPetersburg. #StPetersburg. #BestOfStPetersburg. #SaintPetersburgPrivateTour. #NevaRiver. #DrawBridges. #StPetersburgArchitecture. #StPetersburgSummer. What to do in St Petersburg Russia. Things to do in St Petersburg Russia. St Petersburg tourist attractions. White night Saint Petersburg Russia. 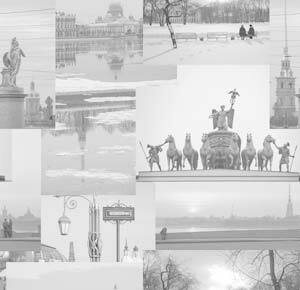 The best of the best St Petersburg tour. If you would like to find something that makes St. Petersburg unique – it is obviously the white nights of St. Petersburg. The simple explanation of this term is that St. Petersburg is a Northern city and so there is a period – the second half of June and the beginning of July – when it hardly becomes dark at night. So simple, but you cannot imagine how much romance and charm this adds to the beauty and nature of the city. Here in St. Petersburg we have a very special tradition of coming to the embankment of the Neva river during the White Nights and watching the bridges across the river being drawn at about 1 am. 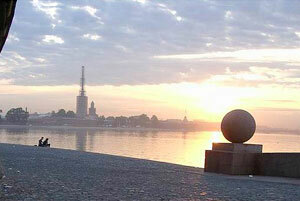 to allow navigation along the Neva. Joining this tradition is a pretty daring thing to do taking into account that you have to stay awake so late at night (or it is better to say so early in the morning), and also that when the bridges are drawn there is no communication between the banks of the river, so you have to be very careful choosing the side of the river from which you would like to view the bridges to make sure you are able to get back to your hotel afterwards. Nevertheless this is an experience you will never forget. That’s why we offer you this tour, which will start with a drive around the night city, when you can see all the beautiful buildings, embankments and bridges lit at night, then you will take a boat to go along the Neva and watch the bridges go up – from right under one of the bridges, and after that the driver will take you back to the hotel. The tour will be one of the most unusual and special tours you have ever experienced.